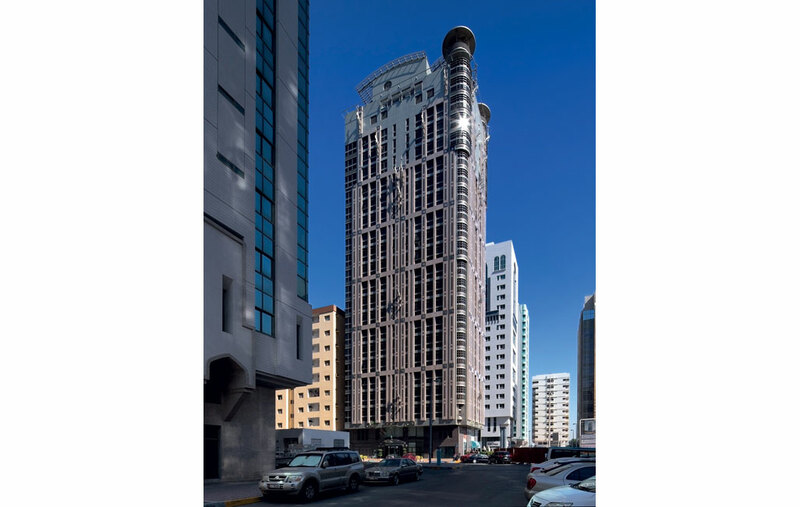 In 2003, Diar Consult designed a 20-storey, four-star business hotel in the downtown area of Abu Dhabi on behalf of United Al Saqer Group. 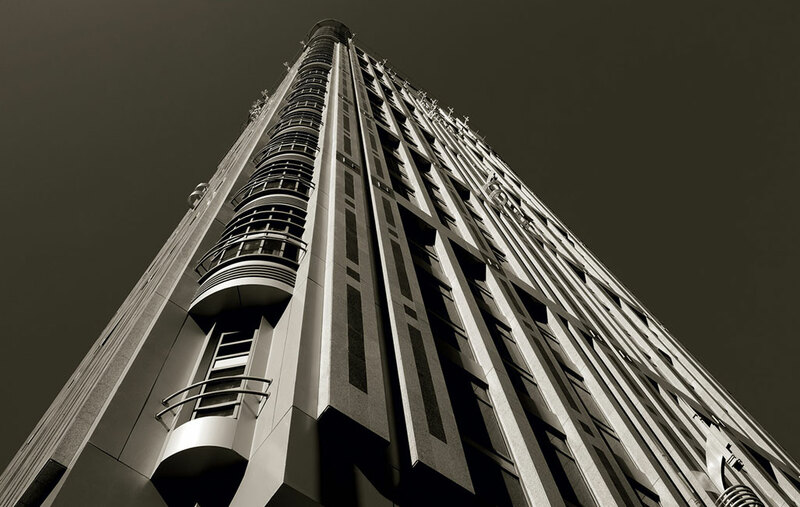 The hotel takes the form of a tower in contemporary architectural style. The ground and mezzanine floors are dedicated to the reception, public outlets, hotel administration and back-of-house facilities. 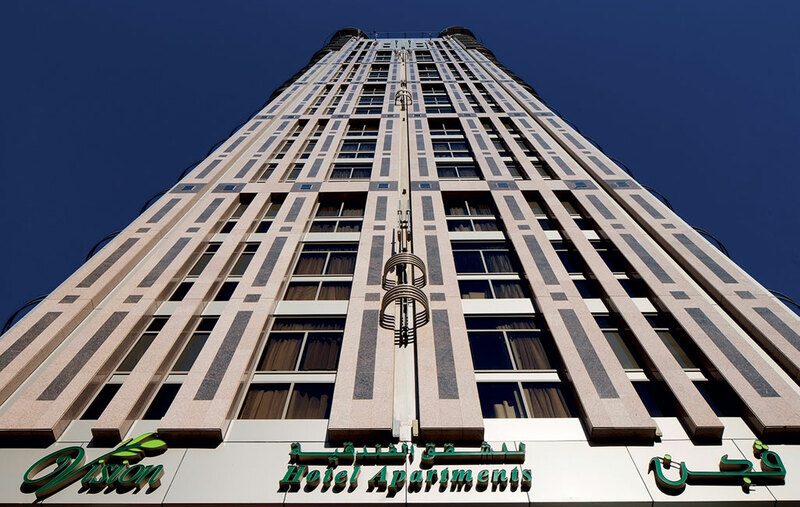 The 150 standard guestrooms are accommodated within the efficiently planned typical floors, and there are two executive suites on each floor, articulated on the facade through the cylindrical drum-shaped towers. An all-day dining restaurant, business centre, and a health and fitness centre on the top floor enjoy panoramic views of the city. In the initial master plan of the city of Abu Dhabi, the sub-division policy had limitations and shortcomings that resulted in a disjointed city fabric. The plots of downtown area were all subdivided into three sizes, 50 × 50 feet, 80 × 80 feet and 100 × 100 feet. Vision Hotel’s plot was the smallest of the three, presenting a challenge to the designer to achieve and balance the important factors of economic viability, operational business plan and architectural sense of identity within the confines and limitations of such a small plot.